In the last installment of ‘New Capsuleers Welcome‘, we took a look at Signal Cartel, a corporation focused on peaceful exploration and wormhole rescue. 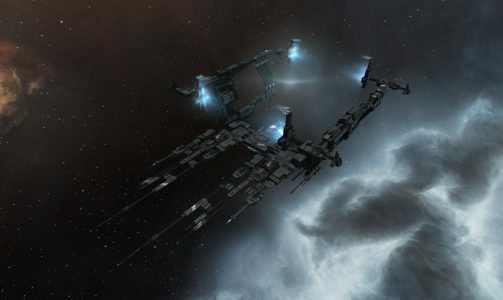 This article will focus on a very different proposition: two corporations in an endless state of war, offering a constant PvP experience like no other in New Eden. Red vs Blue has been around for a long time in its various iterations, but it all started with an idea that had been floating around on the forums: what if there were two corporations, in easily accessible high sec, in a permanent state of war with one another? 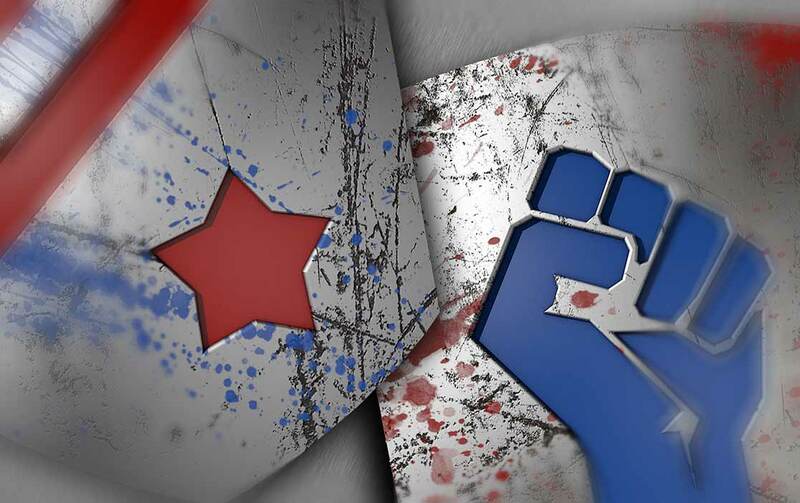 In 2008, Plave Okice and Tron Sarkus decided to put the idea to the test, forming the initial Red and Blue corporations. The idea grew far more quickly than expected. Personal burnout took its toll on the directorship causing the corps to collapse, but crucially, the concept was proven. Fast forward a year and a half, and the decision was made to try again; this time with some basic rules to prevent abusive gameplay and encourage open and interesting fights. A rivalry with Eve University was established over the two entities’ different attitudes to teaching, which still remains to this day. As Nikolai Mazinkov (the chairman of RvB) put it, “with Eve Uni it’s 90% theory and 10% practice, with us it’s the other way around”. RvB has a storied history, including a zenith during which they controlled a massive share of high sec customs offices and warred with many of the major entities, and nadirs where activity dropped off and they were on the brink of closure. 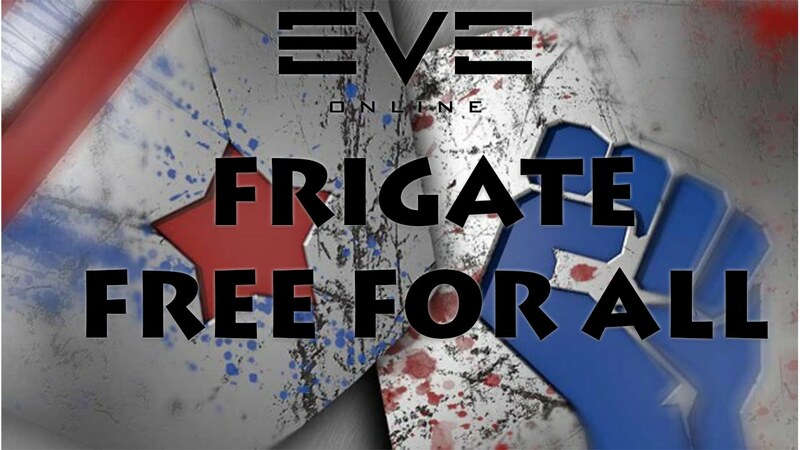 Today, the organization seems healthy with continuous solo and small gang content, regular fleet combat and often ‘purple’ roams where Red Federation and Blue Republic put aside their differences and take the fight to the rest of New Eden. High sec may seem like a strange place to run a PvP organization, but not to Nitro Oxide (the CEO of Red Federation) and Metal Jack (the CEO of Blue Republic). 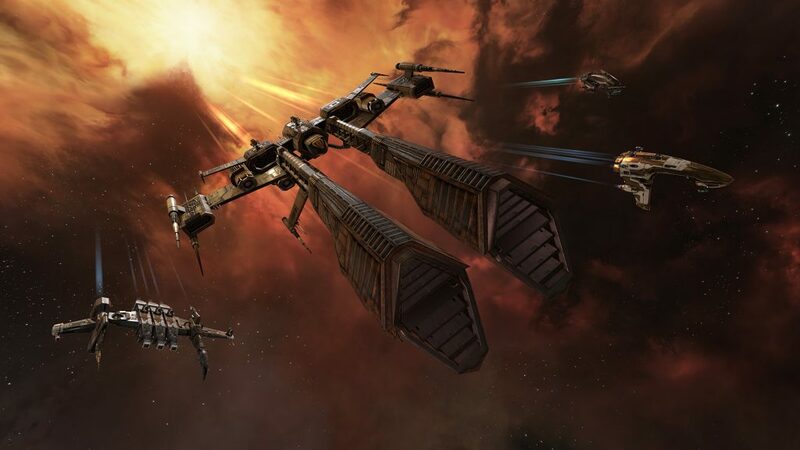 To them, it’s part of the organization’s advantage: anyone can jump straight in without needing to make a treacherous trip up to nullsec. They like the fact that their members can just pick up a ship and jump straight into the action. Being staged in The Forge has its benefits; a short run to Jita and a RvBer can be straight back in the action in any ship of their choice. For newer players who may not have the ISK to jump straight into the action, there are starter packages full of one race’s skillbooks (and support skills) and ten fitted frigates encompassing a wide range of combat styles to help them to get a feel for what they like. Low barriers to entry are a common theme in my discussion with the staff of RvB. The corp requires no SSO keys, there’s no real interest in operational security, and trust is something which is earned organically. The aim is to get people straight into the action, but it doesn’t stop there. 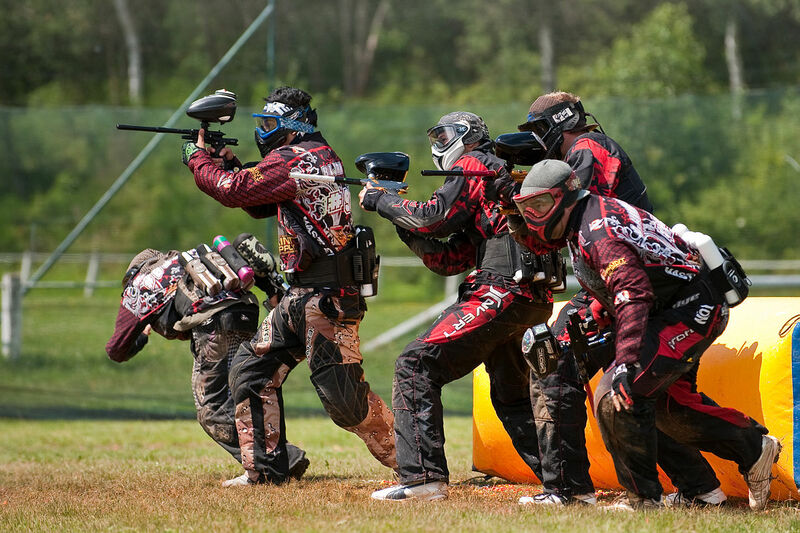 Red vs Blue prides itself on the ‘frenemy’ status between the corps. There’s a culture of improvement, with players regularly speaking across the aisle to offer combat and fitting advice. I’m told that ‘purple’ is a balancing act: if they work together too often, the corps become too friendly and the war loses its competitive edge; but if they work together too infrequently, the rivalry can get too spicy. Getting this balance right creates an integrated but competitive culture which remains in the spirit of endless war. Learning is a practical exercise; players will have whatever the subject is quickly explained to them, then a fleet will go up to teach them how to do it in practice. In my discussion with Nikolai, Nitro, and Jack, I get the impression that RvB is first and foremost about fun. Their origin ‘lore’ is an amusing story involving a shadowy organization, a teapot, and a pot noodle. In a New Eden where many organizations take the game very seriously, this comes as a breath of fresh air. 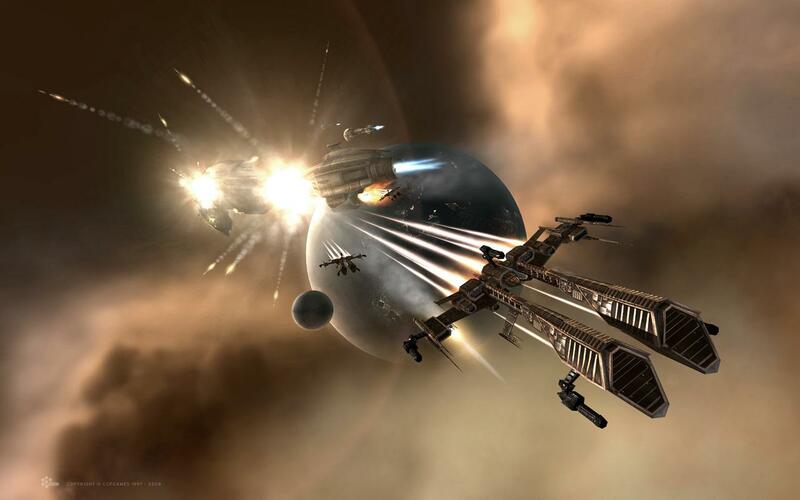 During their engagements with each other, the two sides will try to create fair fights; whether that involves a player crossing the aisle and fighting for the other side, or downshipping, or otherwise imposing rules that make the fleet fight more fun and competitive. RvB like to find a reason to celebrate, too. Whether it’s someone stepping up to a director role or a long term CEO deciding that it’s time to give someone else a chance at the reins, they like to throw a party. A party that usually involves lots of explosions and loot. RvB is active in the NPSI (Not Purple, Shoot It) scene, which is where pilots of various alliances and no alliance of all come together in a fleet in which anyone outside of the fleet is a valid target. They encourage active participation in NPSI fleets run by other organizations as well as running their own free-for-all events, one of which — back in 2012 — was so large that it managed to crash Tranquility. Mmm, But What Do The Line Members Say? 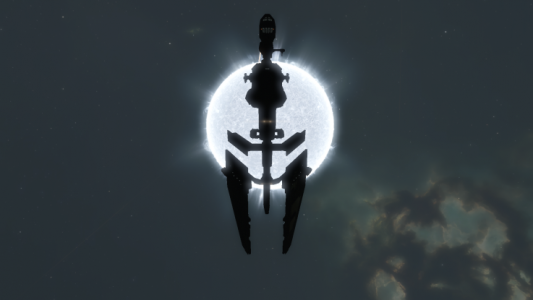 I spoke to Taylor Moon Mahyisti, a one-and-a-half year member of Red Federation who joined the corp after being unable to get good fights solo. Sounds Like My Kind of Thing, How Do I Join? Good question! Just pick a corp — Red Federation or Blue Republic, hit apply and wait for a few minutes or hours depending on the time of day and who’s online! You may be asked to join the other corp for balance purposes, but most applications are just accepted. If joining right away isn’t your kind of thing, they have a forum and a public Discord which you can hang around on to get a feel for the organization. I’m now not sure the place you’re getting your info, however good topic. I must spend some time studying more or figuring out more. Thanks for wonderful info I used to be searching for this info for my mission. It¦s really a great and helpful piece of information. I¦m satisfied that you shared this helpful information with us. Please keep us up to date like this. Thanks for sharing. Hiya, I am really glad I have found this information. Nowadays bloggers publish just about gossips and net and this is actually frustrating. A good website with interesting content, that’s what I need. Thank you for keeping this web-site, I will be visiting it. Do you do newsletters? Cant find it. Dead pent content material, thank you for information. “The last time I saw him he was walking down Lover’s Lane holding his own hand.” by Fred Allen. This is very attention-grabbing, You are an excessively professional blogger. I have joined your rss feed and stay up for seeking extra of your excellent post. Also, I have shared your site in my social networks! Thanks for your personal marvelous posting! I really enjoyed reading it, you happen to be a great author.I will make sure to bookmark your blog and definitely will come back later in life. I want to encourage you to definitely continue your great job, have a nice evening! Hi there, I found your blog by means of Google while searching for a related topic, your site came up, it seems good. I’ve bookmarked it in my google bookmarks.